‘…God has a purpose and a plan, and so often we try to do it our way and carry all the weight. From my own experience and pain and heartache, I’ve found that God loves us more than we love ourselves. He has the best intentions for us, and we can trust Him with our lives…’ Gotee Records signee Finding Favour have been around for a while, releasing their poignant and emotive self-titled EP way back in 2013, as well as a few singles across the years, including their chart-topping “Say Amen”. Yet it is only in 2015 that this band of four have released their debut full-length label album, one that is well worth the wait for anyone a fan of country/CCM/pop, in the similar musical vein of artists like Crowder, All Sons And Daughters, Matthew West or Josh Wilson. Released to digital outlets on the same day as David Dunn’s Crystal Clear, Reborn is perhaps one of my favourite albums, period, in 2015 so far, with the unique execution of worship, country, pop, folk, acoustic, and CCM all within the 11 songs. The new 33Miles? Possibly. Inspired and incorporating a style that is reminiscent in stuff from David Crowder*Band? Most definitely. From the stirring and emotive “Say Amen” to the country love song “Feels Like the First Time” and the lead single “Cast My Cares”; Finding Favour and their style of unique music are here to stay and will hopefully give something different to the CCM landscape with the country/acoustic influence that’ll remind listeners of the varied genres that exist within the musical industry that are not CCM. Not to be confused with the Tim Timmons single of the same name, “Cast My Cares” is arguably my favourite song by the band so far alongside their hauntingly powerful and confronting “Slip on By” (which received the mainstream treatment with a country cover recorded by Austin Webb- which received plenty of Top 40 Country Radio airplay). With a keyboard riff introducing the melody, we are met with the theme of giving all our cares and worries over to God, something we all need to be reminded of, sometimes on a daily basis. As lead singer Blake Nee-Smith reminds us, ‘…this song comes right from 1st Peter 5:7, which says “cast all your anxieties on Him, because He cares for you.” I know that’s not always easy, handing over our worries and our problems, but we need to know that’s who God is…’ and together with the freeing chorus lyrics and how we ought to ‘…cast my cares on You, You’re the anchor of my hope, the only one who’s in control…’, this is a song that I guarantee will be in heavy radio rotation and hopefully a daily encouragement to many in months and even years to come. While not releasing their 2014 hit “Say Amen” on Reborn but rather their acoustic stripped down abridged version as a finishing track, the song still is as poignant as ever, with Blake and band opting to have a piano and acoustics to enhance the lyrical moments of the song rather than the full-fledged band. An encouragement to ‘say amen’ if our lives have been brought through by God in all the moments of uncertainty and doubt as we see God’s hands working through them; it would’ve been nice for “Say Amen (Reprise)” to be track 12 (and “Say Amen” to be track 11). Nevertheless, this is a perfect end to an otherwise musically diverse album. “Til Your Kingdom Comes”, one of the band’s most inventive songs musically, delivers an upbeat and lively presence with percussion and hand claps taking the forefront. Promoting the theme of us walking ‘…through fire, we’ll start a new revival, we’ll raise our banner higher, show them the power of Your love, till Your Kingdom comes…’, “Til Your Kingdom Comes” essentially is about this- living out our days actively in pursuit of God’s presence and what He longs for us to accomplish. “Hallelujah One More Time” brings the theme and genre of worship to the foreground in a song written by ex-Pocket Full of Rocks frontman Michael Farren, as we’re encouraged to declare alongside Blake to sing ‘…Hallelujah once again to the God who was and is and will always be more than worthy…’, while “Refuge” musically delivers one of the most solid performances by the band, as the first track imparts to the listeners a theme of us declaring God being our refuge, ‘…my shelter through the storm, my peace when waves of troubles roll…’ “I’ll Find You”, the most musically and even lyrically safe song on the album, is still as enjoyable as the other 10 tracks, as Blake Nee-Smith invites us to see God in the situations and the different aspects of life we are in (similar to the theme in Chris August’s “The Maker”?). As worshipful and heartfelt these aforementioned tracks are, it is the story-songs that Finding Favour employs in the remainder 5 melodies that’s sure to bring in newer listeners, as the band tap into the personal to create moments of poignancy and emotion as we are brought into the themes of identity- for ourselves and others around us. “Reborn” captures the ukulele and a grateful heart of Blake to present to us a song that encourages us all to be thankful to Christ for the fact that we are indeed reborn, while “On the Water” speaks about fears and doubts that plague our minds and hearts and compares us calling out to God for help to the notion of walking on water- like what apostle Peter decided to undertake way back in the New Testament. “Tiny Town” brings reminiscing, nostalgia and a sense of looking back to the fore as the band delivers a moment where roots and where you’re from are something that ought to be important- to every person who has a past. “Tiny Town”, though not a song that delves into Christianity, nevertheless reminds us about the important rather than the superficial and the superlative. “Feels Like the First Time” could find success on Country Radio if the band decide to spread their wings to draw in a different audience, as Blake sings personally one of the most engaging love songs I’ve heard. With Blake’s singing and music style sounding eerily similar to Chris Carmack and his character of Will Lexington on the hit ABC 2012 TV series Nashville, “Feels Like the First Time” is an encouragement to many to keep the love that we have- between family, friends, and our significant other, alive and worth the years we have them in our lives. Yet it is the humble and lyrically confronting “Be Like You” that is a perfect standout amongst the 11 tracks- and with the song debuting during the week of Father’s Day (in America), the song reminds us all that we all emulate our parents, and in particular our fathers, when we are fathers ourselves (and I’m sure when I am a father in the future, how I parent will be a product of how I was parented). “Be Like You” encourages us all to have an unbiased and loving view of our heavenly Father, as if our family want to be like us, the provider of our family, we ought to long to and strive to continuously be like Christ, as we can only set a foundation for those around us only based on what we believe to be true ourselves. 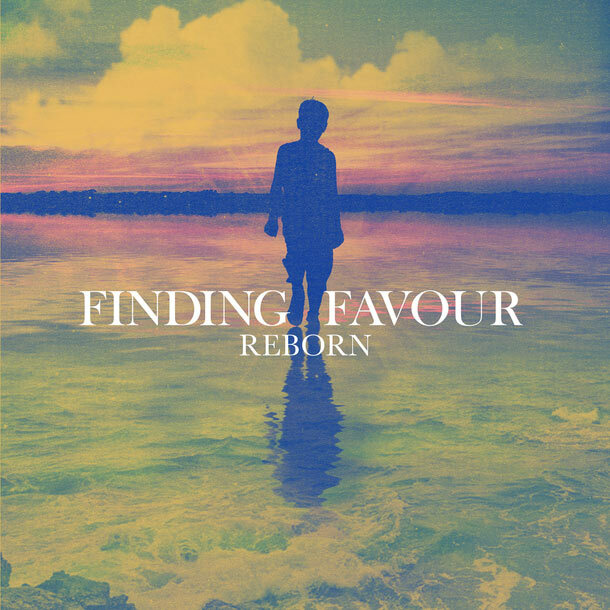 Releasing the album in a month full of standout albums from Matt Redman, Dan Bremnes and David Dunn, Gotee Records continues to deliver as Finding Favour continues to assert why they are one of the most underrated artists within the last few years. Signed to a label with other artists like Jamie Grace and Capital Kings, Finding Favour’s soulful music emphasis with a similar musical leaning to 33 Miles, Crowder, All Sons and Daughters and Newworldson will certainly garner fans who love ballad music with a keyboard and vocal prominence. From ‘Cast My Cares’ to ‘Be Like You’, this album is a joy for anyone who listens. Well done guys for the album, and well done TobyMac for endorsing one of the most unique and different artists since the Canadian band The City Harmonic!